Have you experienced a situation that made you ask, "Why me?" You may have experienced a life altering situation, which turned your life upside down causing you to ask, "Why me?" You may be the leader of a team who lacks motivation and fails to perform to their potential. Out of frustration you might have asked yourself, "Why me?" Do you or your team need some real, sincere inspiration and motivation to get through a difficult situation? No, seriously.......do you? Then, you are encouraged to continue to read the information that is about to be shared with you. Trenell Walker is a Ziglar Legacy certified trainer. At the tender age of 14, he experienced a tragic accident playing high school football that left him paralyzed from the neck down. In his eyes temporary defeat does not mean permanent failure, because nothing beats a failure but a try. He tried a bad attitude. He tried blaming others. Things changed for the better by trying 3 things that he will teach you such as developing a positive attitude, setting goals and building winning relationships. Desperation turned to inspiration giving birth to a spirit that will never give up until he is taken up. Trenell teaches 7 principles of perseverance that will guide you in overcoming challenges to achieve goals. The principles are known as the “TRENELL effect." It will influence you to T- Take action, R - Resilience, E - Encourage, N - Never quit, E - Evaluate, L - Learn and L - Love. These principles, along with Zig Ziglar's philosophy "You can have everything in life you want, if you'll just help enough other people get what they want" fuel his passion to help others. Trenell's Ziglar Legacy Certification is your proof that he has been educated in the Ziglar approach to achieving success in life. 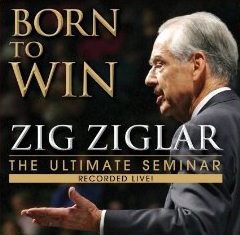 In fact, he has been certified by the Ziglar Corporation as possessing the proven information, inspiration, and motivation to help others become the winners they were born to be. He also knows without doubt, that you were meant to achieve success in all areas of your life; your personal life, your career, your business, your family, and your community. Contact Trenell so he can help you and your team achieve everything you want in life.